The Los Angeles Kings made seven total selections, in this weekend’s NHL Draft hosted by the United Center in Chicago, Ill.
LAKings.com is at the United Center and filing reports from the event. 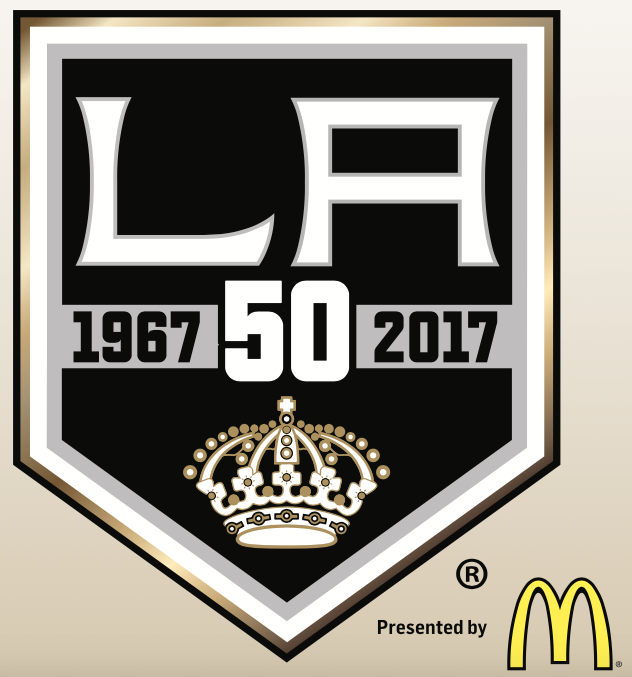 Jon Rosen is also providing content on LAKingsInsider.com. Follow the Kings on Twitter – @LAKingsPR, @LAKings, @LAKingsInsider. After selecting Gabriel Vilardi in the first round (11th overall) yesterday, the Kings continued the draft on Saturday by adding six more members to the teams’ 2017 draft class. “The draft is obviously a big weekend for us and it goes without saying that it is an integral way to not only build the team, but to sustain growth and stability. Our selections this year obviously improve our system, and we are appreciative of our scouts and their hard work and dedication,” LA Kings Director of Amateur Scouting Mark Yannetti said. The Kings opened day two of the draft by selecting forward Jaret Anderson-Dolan from the Spokane Chiefs of the WHL in the second round (41st overall). Anderson-Dolan, a 5-11, 191-pound 17-year old (born Sep. 12, 1999) native of Calgary, Alberta totaled 76 points (39-37=76), a plus-4 rating and 22 penalty minutes in 72 games last season with Spokane. Among team forwards, he ranked first in power play goals (14; tied for 12th in the league), second in goals, points and game-winning goals (6), and fourth in assists. Served as the captain of the Canadian U18 World Junior team in 2017. The Kings next selected goaltender Matt Villalta from the Sault Ste. Marie Greyhounds of the OHL in the third round (72nd overall). Villalta, a 6-2, 165-pound 18-year old (born on Jan. 3, 1999) native of Kingston, Ontario posted a 25-3-0 record, .918 save percentage, 2.41 goals-against average and one shutout in 33 regular-season games. Among league-leaders, Villalta ranked second in save percentage, fifth in goals-against average and tied for seventh in wins, while being the top rookie in all three categories. The Kings selected defenseman Michael Anderson of Roseville, Minn. in the fourth round (103rd overall). The 5-11, 197-pound blueliner recorded 34 points (5-29=34), a plus-29 rating and 52 penalty minutes in 54 games with the Waterloo Black Hawks of the USHL. Among league-defensemen, he ranked tied for second in plus/minus, fifth in points and assists, and third in power play assists (14). In eight postseason games the 18-year old (born May 25, 1999) posted three points (2-1=3) and 10 penalty minutes, helping the Black Hawks to the Western Conference Final. The Kings used their second fourth round pick to select defenseman Markus Phillips of Toronto, Ontario 118th overall. This pick was acquired from Dallas in exchange for the rights to Ben Bishop. The 6-0, 202-pound defenseman recorded 43 points (13-30=43), a plus-41 rating and 44 penalty minutes in 66 games with the Owen Sound Attack of the OHL. Among team-defensemen, he ranked first in goals, power play goals and plus/minus, and second in points and assists. During the 2017 playoffs, the 18-year old (born on March 21, 1999) posted five points (0-5=5) to help lead Owen Sound to the Western Conference Final, before falling to the eventual champion Erie Otters. With their first of two fifth round picks, the Kings selected defenseman Cole Hults of Markham, Ontario 134th overall. The 6-0, 189-pound blueliner recorded 32 points (6-26=32) and 122 penalty minutes in 59 games with the Madison Capitols of the USHL. Among team-leaders, the 19-year old (born May 22, 1998) ranked first in points and assists. He is committed to attend Penn State University next season. The Kings used the pick they acquired in the trade to acquire Ben Bishop from Tampa Bay to select forward Drake Rymsha of the Sarnia Sting of the OHL 138th overall. The 6-0, 187-pound native of Huntington Woods, Mich. appeared in 28 regular-season games with the Sting, posting 33 points (20-13=33) and 39 penalty minutes. He started the season with the Ottawa 67’s, where the 18-year old (born Aug. 6, 1998) tallied 29 points (15-14=29) and 41 penalty minutes in 37 games. The Kings entered the day with a sixth round pick (165th overall), but they traded that pick to the New York Islanders in exchange for the Islanders sixth round pick in the 2018 NHL Draft. To view the Kings all-time draft selections, visit LAKings.com/alltimedraft.